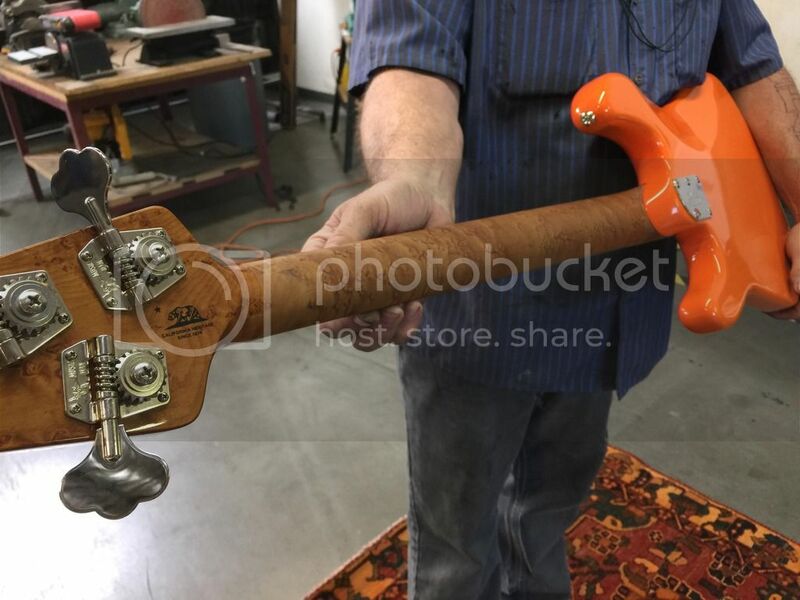 I'm going to start you bass guys off with something very unique. This was a one-off for BP. 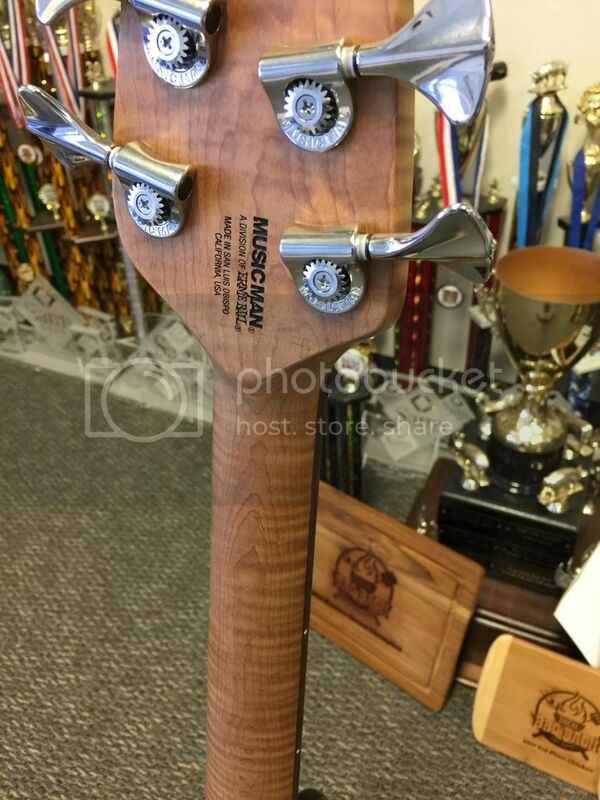 6 String Bongo HH, no paint, roasted Myung-style 5 string neck, and a special "Big Poppa" embossed headstock. 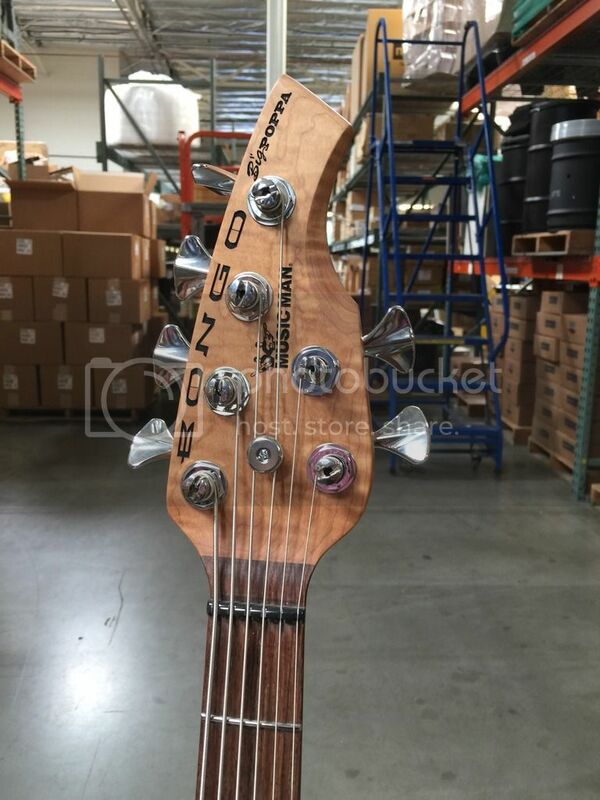 Note the non-standard headstock imprint, this was before we decided to go with the CA Grizzly that we've been using. Wow, that neck! Those tuners look really slick, too! I'd never noticed they were different on the Bongos (and looks like on the Game Changer bass, too). This is a thread I'll be watching, even not being a bass player! Beautiful! The two things that I love most. Bongo basses and roasted maple necks. Combine the two and I would go broke buying at least one a year. Love to see the different instruments. A commercially available Bongo with similar specs is something I would definitely purchase! Wow that is fabulous - what type of wood is the body? That with the flamed roasted neck looks great!! I wish roasted necks were standard on Bongo's. I would buy at least one a year. How cool is this? Thanks for starting this thread. I look forward to more posts. Start selling Natural Bongos and I'll slap down money for the first one! Hello again! 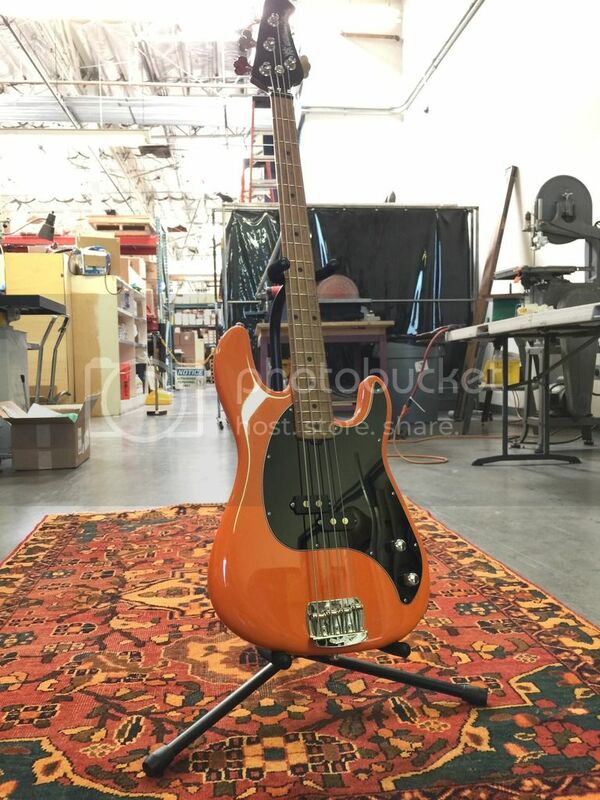 For this week's installment I wanted to show off a Cutlass bass that came through the EB factory to go out on the road with the Warped Tour. So, if you're so inclined, you can go check it out at Warped this summer. 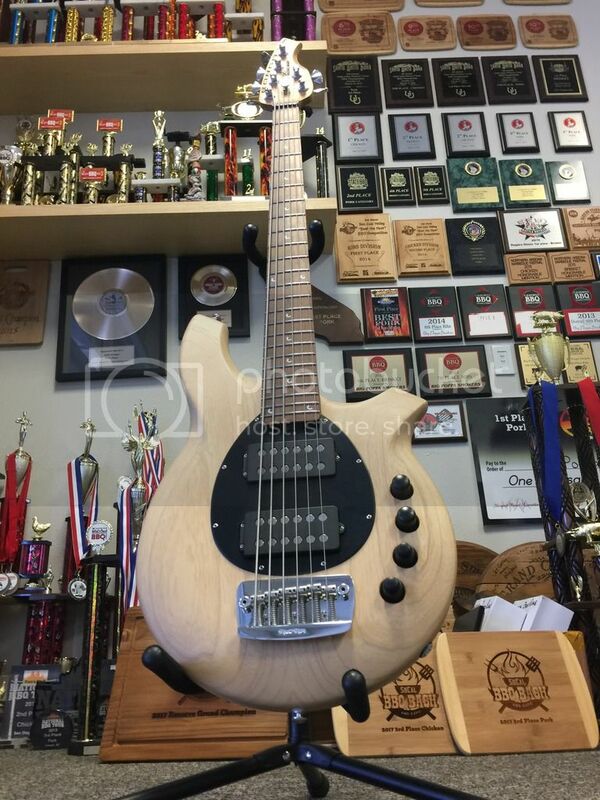 This bass looks like it was made for Ian Grushka from New Found Glory, and he's unfortunately gone in a different direction with the basses he plays. 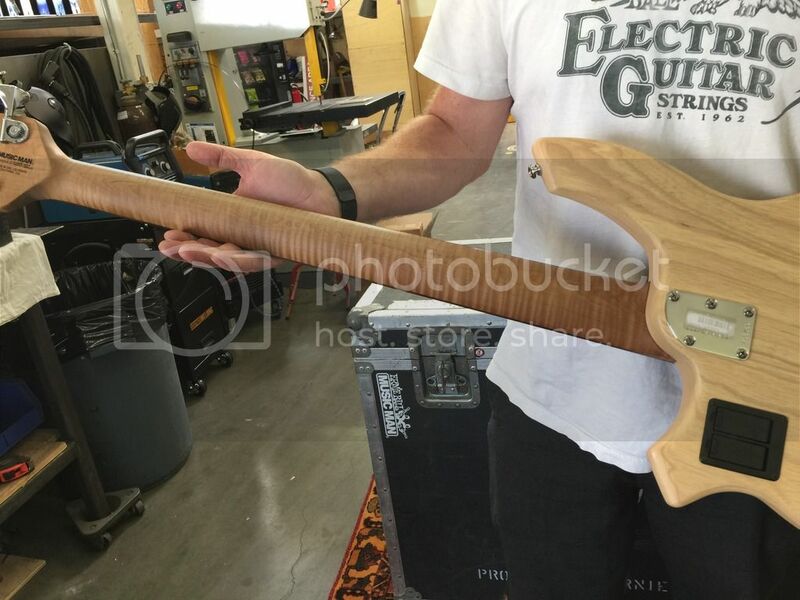 So, we have some cool Cutlass basses with roasted necks that can't go to a store. I'd buy one with a roasted neck!